Muzvare Betty Makoni is a globally awarded girl child rights activist and community champion of over 22 years. She is the founder of Girl Child Network Worldwide. Recently, she completed MSc in Social Work degree at Royal Holloway University. With the knowledge, she gained she is working to raise awareness on all forms of child abuse and how parents in Black Ethnic Minority Communities in the UK can better understand the role of social workers when they contact them. Her articles share simplified information for parents so that when social workers make contact with them until they complete work with their families, they know how to respond so that there are best outcomes for children. Many parents have no idea what would be going on and sometimes tend to resist working with social workers. Disclaimer: These are not academic articles or lectures. These are simplified articles for parents who need such advice. Muzvare Betty Makoni’s views are not views for any organisations, groups or individuals she is associated with. These are her personal views. There was a Live FB Broadcast on ZimEye on 10 June 2017, providing parents with tips on how to “block social services” when they come for home visits either for an assessment or intervention. 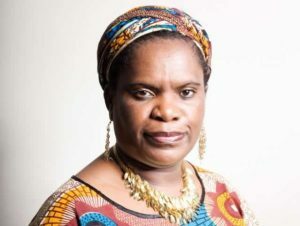 Muzvare Betty Makoni was one of the contributors who advised the show presenter to seek knowledge of how social workers work with children and families before advising parents to block support that may save lives of children. Zimbabwe Social Workers Association in the UK was strongly recommended to parents who want to understand the role of social workers. They have a community event coming on 12 August 2017 which will be featured as one of the blog articles. The community event raises awareness on the role of social workers in communities and introduces some experts in various areas like child sexual exploitation, disability, the child in need, child protection, social work student support, adults and mental health and many others. Believe me, any parent’s worst nightmare is to receive a phone call about their child and something wrong with them. But we all receive them from teachers especially and we are told that a child came to school unkempt, or was naughty during lessons, or was rude, or fought with another student or they have detention. To be frank, if you are a parent, then expect anything and from anyone and anywhere. In our Shona proverb, we say, “Mugoni wepwere ndoasinaye,” meaning those who claim their kids are perfect then they have not experienced what it means to parent. We should therefore not ignore phone calls from social workers because they have an important role in protecting children from harm. When something is not okay with your child, it is brought to the attention of social workers to contact you and find more. We should not be in denial or be defensive as those things professionals are worried about may deteriorate if nothing is done and hamper full development of your child. Parents panic, become anxious and angry when a social worker calls them. The first thought that comes to parents’ minds most probably is that children will be removed rather than the assistence they maybe entitled to with their child at home. Therefore, engaging parents whilst in this state of mind is very hard. However, parents should have the awareness that social workers do not just visit you or your child out of the blue. Social workers work with teachers, doctors, police and you as a parent to ensure children are safe. There are laws and policies that guide whatever they do with your family and so rest assured the law protects you as well. Here are a few simplified tips for you to engage social workers in a positive way and find ways to work together. It is the normal procedure that they first call you over the phone. Sometimes they come to your house without letting you know. Either way, just keep a positive mind that this is about your child. Think positively about a social worker just like you do with a doctor, nurse, teacher or health visitor who communicates something about your child and they do not mean to do any harm at all. If anything, they might have identified something that might harm your child and want it prevented much earlier. Remain calm too!!! Remain calm and welcome them if they identify themselves. Being rude or not cooperating does not help your child and family. The case might be that your child is having behavioural problems at school or in the community and they want to assess and find ways to work with you. Or they might have been informed your child is being abused by someone you don`t know. Do not ignore the first phone call or knock on the door. In our culture, we are very polite. We greet visitors and we give them somewhere comfortable to sit. Our culture is not aggressive at all. Social workers explain what they are worried about with regards to your child. Listen carefully first. Remember, a lot of social workers are trained to listen to you and give you time to respond or share your story. They also understand emotions that may come out of your interaction with them and so as a parent feel free to express your emotions. At this stage, be reasonable and ask questions about what needs to happen, what your role as a parent should be and who else you can trust and can support you within your family and close friendship networks. Ask questions that move you forward rather than backward. Avoid being defensive and impossible. Again, this is about your child at risk and needing support to reach their development goals. Share your story in an honest way. Social workers keep your information confidential and the law dictates that they only share your information with your consent. They always ask you to sign a consent form should you want an assessment to take place. Ask them to explain what consent form means. It means you allow them to go ahead with an assessment and that you are fine with them contacting other professionals like doctors, teachers, and police to get more information. Data Protection Act 1998 is the law that protects how they will use your information. So, rest assured your information will not be used wrongly. On your part, keep your information confidential and do not expose your child unnecessarily. Ask social workers to explain what an assessment means. Most parents have no idea what it is. In its simplest form, an assessment is a way to gather as much information about the child and family so that a support plan to better the situation can be put in place. A decision on what risk a child faces can only be clear after an assessment. It is not true that once an assessment starts a social worker is in the process of removing a child. The law encourages social workers to keep families together. If you actively participate in a good assessment as a parent, you might identify areas you are strong or weak when it comes to parenting. In an assessment, you can find resources around you that can help you. It is about finding your strengths as well. Assessment is not an exam or test. There are never right or wrong answers but a good parent begins to rethink their way of life and where things are working or not working. A good assessment can be as simple as asking 3 important questions like 1. What are we worried about? 2. What is working? 3. What can we do to make it better? (This uses a model called signs of safety which I will explain in other articles later). So, during an assessment, you have an opportunity to think about these questions even without a social worker, keep assessing the situation as the child is yours. You have parental responsibility and this is granted by the law. Disguised compliance- Ooops!! A bit of jargon here. Well, let me explain. Some parents do not do things to benefit their child but just do it because social worker says it should be done. For example, they may keep the house clean because social worker is coming but as soon as social worker leaves, they go back to a lifestyle that puts children at risk. In other words, some parents feel that they must do it because if they don’t then children will be removed. We will talk about this later. We want to find a more empowering role for parents to understand safeguarding their children should always be the priority. We protect our children before anyone else does.We are parents and our role is to genuinely care for our children. Finally, do not torment(beat or insult) the child after social worker leaves. This is often taken as an emotional abuse of the child. Engage your child in discussions that support their growth. A child who is interrogated in the home becomes a prisoner in that home and this can affect them. Avoid venting anger on children or using bad words to insult them. Keep warm and supportive of your child. Motivate and inspire them on good relationships with you. A lot of parents beat children for opening on abuse. Some parents intimidate children. This does not help the situation. It makes it worse. So, in this article, I have advised parents to be open minded and view the role of social workers calling them or visiting them in a more positive way. Prevention is better than cure. I have advised parents that communicating in a respectful and honest manner can bring better outcomes for your child. I also advised that assessing your situation and that of your child is something you can do daily as a parent. At the end of the day the child is yours and when they grow and achieve, it is you as a parent to be proud. We do not look after our children because social workers say we should do it but we should be empowered to do it. Let’s all develop a dialogue on how to engage social workers so that our children are safe in the home, school, and community. All communication is kept confidential. Dinesh Napal and fellow Development Forum Student Committee members at the School of Oriental and African Studies (London, United Kingdom) invited Muzvare Makoni to give a keynote speech on energy, environment and gender. The SOAS African Development Forum 2017 was held at the Khalili Lecture Theatre at the School of Oriental and African Studies (SOAS), Bloomsbury, London on Saturday 18 March 2017. Her speech was well received and those who attended said they felt energised to go out in their careers and leadership positions and impact lives. I am delighted to join African Development Forum in this annual conference whose theme is “Energy and Agency: Fuelling Africa`s growth.” My keynote address focuses on link between gender and the environment. I will unpack how climate change affects women and girls. Climate change leads to unpredictable weather patterns like violent storms, droughts and harsh weather (extreme cold or hot). This consequently affects food security. Girls are affected by age and gender. Since girls are considered inferior to boys there are consequences of early forced marriages of convenience for food security. Women and girls are abused for food and they get sexually exploited. I will therefore also look at gender based violence like sexual abuse, forced marriages and other harmful cultural practices post natural disasters. There is a link between climate change and gender based violence. When there are natural disasters women and girls suffer more due to displacements, poverty, disease, loss of livelihoods and lives and marginalisation. I have witnessed women and girls falling victim to all forms of violence because that post natural disaster period has no holistic interventions. As you are aware, Africa has a population of over 1.2 billion people and it is the world’s second-largest and second-most-populous continent. As you are aware 6 countries face feminine and even my country of origin had devastating cyclone that left many women and children homeless and displaced in mostly rural areas. Climate change has adversely affected livelihoods and as you are aware most rural women depend on livelihoods. Per “Our Poverty Africa Organisation” poverty has sharply fallen in other parts of the world from 40% to 20%. However, in Africa over 40% of people living in sub-Saharan Africa live in abject poverty. I grew up an environment where women were second class citizens and the gender injustice they suffered was to do household chores where hard labour was needed daily. I used to wonder how much household work I had to do compared to my brother. I had to fetch water in the morning, firewood in the afternoon and the whole day I spent cooking and washing dishes. Males simply knew how to eat the food whilst I had to know how to prepare it and then serve them. In situations of natural disasters, girls and women are This is what gave me the vision to start Girl Child Network so that we catch girls whilst young. For centuries, African women have relied on tilling the land, fetching water, washing clothes and their bodies by the river side, fetching fire wood and gardening. Women co-existed with nature and learnt how to sustain the food and energy it gives. Women have exceptional knowledge on seasons and they interact with normal seasons as part of their life pattern. But with climate change, many have not been able to cope as natural disasters like what recently happened in Zimbabwe and Mozambique left them homeless and helpless. Natural disasters exposed women and girls to trafficking, prostitution, slavery, and sexual exploitation. According to the Guardian, there are many issues to do with deforestation as energy needs arise and global warming continue to be worse because of emissions from agriculture and forestry. As you are all aware, Africa largely depends on donor aid which comes in pilot projects, two year projects or projects that last a few days. These are not owned by the women and girls but by donor aid workers who fund them. There has never been clear impact of how these projects support women and girls’ empowerment post natural disasters. Not many of them have a theme on energy or climate and yet these two affect women and girls daily. The post natural disaster time is not the priority of most governments either. Most of Africa is struggling more with leadership than resources. Leadership in the continent is male dominated and traditional gender roles of women are still very strong in some countries or where they are addressed, it is just piece meal. Not many women occupy government positions for food, climate and security even if ironically most women make the food. Therefore, there is not only crisis from natural disasters but there is more crisis when those most affected by such natural disasters have no solutions or are not provided resources to help them rebuild their lives. As it is now, renewable sources of energy are being developed in Africa. Energy revolution in Africa does not have the involvement of women. Solar energy is a huge resource that could bring clean energy to save women from hard labour and lung diseases because of inhaling too much mono oxide in closed huts. The design and production of solar energy has not reached women. That could cut down a huge portion of trees burnt to bring energy to cook. River banks could be developed to provide irrigation. New figures from the UN’s World Food Programme say 40 million people in rural areas and 9 million in urban centres who live in the drought-affected parts of Zimbabwe, Mozambique, South Africa, Zambia, Malawi and Swaziland will need food assistance in the next year. Per the Guardian at the current rate of progress some 637 million people, mainly in sub-Saharan Africa and South Asia will still not have enough to eat in 2030. There are some specific energy issues I wish to focus on. The main sources of energy in Africa for domestic use are firewood, agricultural waste, coal and paraffin. Women and girls in Africa have the responsibility to ensure availability of primary energy source. They walk long distances to fetch firewood. In addition to fetching firewood, there is burden placed on women and girls to cook. Cooking in closed huts results in women and girls inhaling smoke resulting in respiratory diseases. If men are more involved in roles traditionally done by women joint efforts could lead to better solutions. All hope is not lost as there are solutions. Improved stoves are already developed. There is less use of firewood and less labour to fetch firewood. However, there are challenges that not many want to eliminate the traditional open fire place as it also provides heat and lightning. Fireplaces are considered inefficient due to massive heat loss. Fireplaces have a traditional value and sometimes women and girls are forced to conform to traditional values. There could be community solar schemes for battery charging to provide lightning. The use of biogas digesters to provide gas for cooking and lighting using agricultural waste like cow dung could be a solution even for displace families because of natural disasters. Governments in Africa should make electricity accessible for domestic use and agriculture. There needs support for women and girls as decision matters in such energy revolution projects. As it stands, gender inequality and gender based violence hinder mitigation of effects of climate changes by women as they are not in decision making positions even though they are the most affected. In conclusion, policy needs to address the role of women as decision makers in energy issues and climate change. As it stands, women are not considered as adding value to energy issues yet they put in more labour effort than men. The womens true value and economic value is not recognised. Men tend to be decision makers in energy issues without considering inputs or concerns of women or understanding womens role in energy security. Central governments in Africa tend to look at “bigger” energy issues like electricity without considering energy issues affecting rural people who are majority in Africa. It is time issues of gender equality be challenged at every level of society and ensure sufficient/equitable representation of women at all levels of policy/ decision making in society. On 1 February 2017, the organising committee of ‘Women4Africa™’Women4Africa announced that Muzvare Betty Makoni was selected to win their first ever ‘Lifetime Achievement Award’ for her outstanding contributions/achievements for over 15 years. Below is Princess Moradeun Adedoyin Solarin who officially presented the award to Muzvare Betty Makoni. The Awards ceremony for the 6th Annual ‘Women4Africa Awards UK 20167 was held on Saturday 20th May 2017 in Kensington, London. Muzvare Betty Makoni in her military style British dress announced before the awards ceremony that she chose to put it on to symbolise that like a woman soldier she fought all battles and won. In her blue dress, she boldly stood for justice, gender equality and for the rights of the girl child as the future woman leader. Muzvare Betty Makoni met and interacted with women from different parts of Africa and one of them was a nominee from Tanzania working with girls. Her name is Consoler Aliya Wilbert who said she is an admirer of Muzvare’s work and has been following her for years. Some friends and supporters of Muzvare Betty Makoni autographed for her and one of them called Wambui Njau who is a previous awardee of Women4Africa Woman Role Model described Muzvare Betty Makoni as inspirational in her congratulatory message. Glam Africa extensively covered the news of the event and below are some stories of women high achievers who won the prestigious Women4Africa award in various categories. Women4Africa 2017 Recognition awardees and Winners.